Welcome to Astronomy for Kids – A Free Introductory Guide! Astronomy is a very exciting area of study which you’re never too young to get started in. 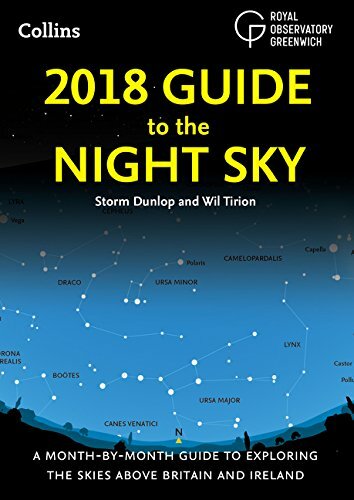 This guide will explain the main areas of astronomy, including the definitions of all the things you are likely to come across, as well as what kind of equipment you will need when starting out. Even if you are a complete beginner, we’ll guide you through all the basics so you can get out to explore the galaxy, starting from the comfort of your very own home! So what exactly is astronomy? Simply put, astronomy is the study of space! At night, if the skies are clear, you’ll be able to see hundreds of stars in the sky, though these are only a fraction of all that is out there in space. In the next section, we’ll explore the different scientific terms for all the different aspects of astronomy, but for now, we’ll just cover the basics. One of the great things about this hobby is that you start off with nothing more than your eyes. At its core, astronomy is stargazing: looking up at the night sky and being able to identify all the different planets and stars. All the different stars can be quite far apart, but sometimes ones that are close together make what some people think look like different pictures. We call these constellations, groups of stars that make patterns. Some famous examples of these include Orion’s Belt or the Big Dipper. What science do I need to know? Pluto used to be called a planet but is now classified as one of many objects in the Kuiper Belt, a region of space beyond Neptune. Each of the planets, moons, and objects are very different in size and how they look – Planets for Kids is a great website with awesome content geared towards children and contains lots of fun facts about the planets and objects. The closest object to Earth is something you’ll probably notice every night if you go outside – the moon! The moon is a small rock that orbits the planet Earth – just like we go round the sun, the moon goes around Earth. Quite a few of the other bodies in our solar system have their own moons – although we only have one, others have even more – Jupiter has 63! Something you will realise very quickly is that space is BIG! Each of the planets are thousands of miles away from us, and the stars you see glittering in the sky can be millions and millions of miles away! The fact that you can even see them at all is amazing – it means that light from those suns has travelled millions of miles to get to here. Some of them are so far away that the light takes a very, very long time to reach us – this means that some of the stars we see may not even exist anymore, since we’re seeing them from thousands of years in the past! All of this may be a little much to take in at first, but that’s why this guide will break everything down into more manageable chunks. In this section, we’ll discuss some more of the science behind astronomy. If you’re interested feel free to read on, but if you just want to get started with getting out there and stargazing go ahead and skip to the next section! So we’ve already looked at the solar system, but what’s beyond that? Space is incredibly huge, far bigger than anyone can really wrap their head around, but that doesn’t mean we haven’t tried! A way of grounding yourself can be to imagine your house, in the country you live in, on planet Earth. Earth is then part of the solar system, with the different planets all circling around the sun. But what comes next? Well, our solar system is part of what is called a galaxy. A galaxy is a scientific name for the millions of different stars, planets and more that are close enough together that they can be regarded as one thing. To put it as simply as we can, the planets within a galaxy are held quite close to each other by gravity, the same force that keeps you stuck to Earth! Although these planets are still millions of miles apart, gravity keeps them close enough together that they form our galaxy. Our galaxy is known as the Milky Way. It is absolutely enormous, but is beautiful to look at. Take a closer look at what it looks like here. Although we can’t actually go that far out to take a look at it ourselves, we have a pretty good idea what it would look like. Isn’t it amazing? So how far have humans been able to go? This depends on what you consider ‘human’. As you may know, people who go out into space are called astronauts. One of the most famous astronauts was Neil Armstrong, the first man to step foot on the moon back in 1969. Although the moon is close to us compared to other things, it’s still around 240,000 miles away! This makes the moon landing one of the furthest places that a human has ever been. If you count robots, however, then we’ve been a bit further. Ever since we were able to get into space, we’ve been interested in trying to find out what’s out there. Although we can’t send humans all that far, scientists have managed to send space probes out as far as the edge of our solar system, though they took years and years to get there! Maybe one day you’ll be one of the scientists sending out the newest probe to see how far we can go! – The closer a planet is to the sun, the hotter it will be. Depending on where you live, the temperature can vary quite a lot. Maybe during the summer it gets scorching hot and during the winter it gets freezing! But the different planets in our solar system are far hotter and colder than anything we could experience on Earth. For example, since Mercury is the planet closest to the sun, it can get as high as 430 degrees Celsius! And on Neptune the surface temperatures can reach as low as -200 degrees Celsius (remember that water freezes into ice at 0)! – The further away from the sun a planet is, the longer it takes to orbit. As you may know, a year on Earth is 365 days. That is based on how long it takes the planet to go all of the way around the sun. However because Mercury is so much closer to the sun, it takes only 88 Earth days for it to go around the sun – around 3 months! If we then look further out still, a year on Neptune takes a whopping 165 Earth years! We’ve briefly mentioned the force of gravity – but how does it work? As mentioned, gravity is what keeps people stuck to the Earth, and what makes a pen drop towards the ground when you let go of it. When looking at gravity in space, however, it works on a much bigger scale. Gravity is what causes planets to have orbits around suns. Because the sun in our solar system is so huge, it attracts planets towards it (just like the Earth attracts our feet to the ground). And although the sun is huge – a whopping 109 times the size of Earth! – the reason it has such a strong gravitational pull is because of how heavy it is. Scientists estimate that if we were able to weigh the sun, it would weigh an amazing 333,000 times as heavy as the whole of planet Earth! Because of this weight, it pulls things towards it. So why don’t planets go straight into the sun? Luckily for us, although Earth is caught in the sun’s pull, it isn’t strong enough to pull us right in – we simply curve around the sun. That being said, eventually the sun will expand and go right through the Earth, though luckily not for another 7 billion years. You’ve probably weighed yourself on a scale before, but however heavy you are, did you know that you’ll be lighter on the moon? Because the moon is so small, its gravity is a lot weaker than on Earth. Because of this, if you were to jump while standing on the moon you could jump almost 6 times as high as you could while on Earth! The best way to get started in astronomy is just by going out at night time (with your parents!) and taking a look at the different stars you can see in the sky. With the help of star maps you’ll be able to start identifying which stars you can see near you. In The Sky is a great website with an up to the minute star mapping facility. Although it may be difficult at first, after a while you probably won’t even need to look at the star maps anymore as you get to know the different constellations. Start with some easy ones and then challenge yourself to find different ones! Depending on where you live you will be able to more easily see different constellations at any time – make sure you don’t get lost looking for constellations that aren’t there! Make sure you take into account where you are, what time of year it is, and also make sure it’s a clear sky. Too many clouds are an astronomer’s worst nightmare, as they completely block the stars! What starting equipment should I use? A great way to start stargazing is to use nothing more than your eyes and a star map guide or app. However, you’ll soon want to get a closer look at all the objects in the sky. 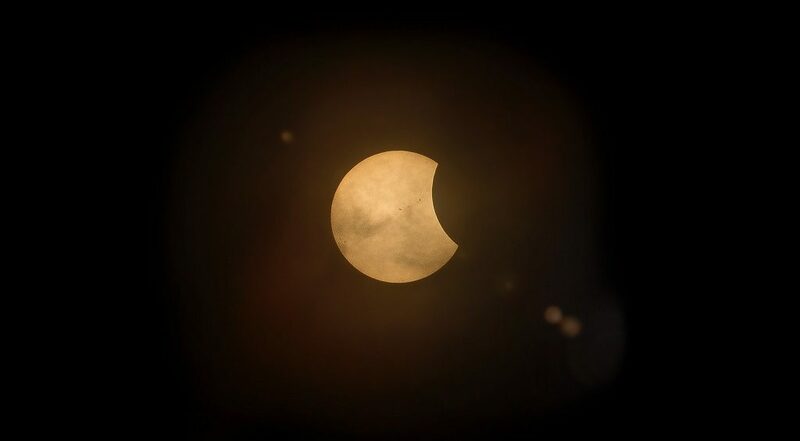 To do this you’ll need to buy some kit to get started – so ask your parents really nicely and you’ll be able to see the moon and other planets much more clearly. Probably the most famous piece of stargazing kit is called a telescope, which is used to get a closer look at objects in space. A telescope is definitely the best way that you’ll be able to look at the solar system from the comfort of your own home, but they aren’t particularly cheap. It might be worth asking friends and family if they have an old telescope that they no longer use to start you off on your stargazing journey. Ebay is a great place to buy an affordable telescope. There are many products on sale from £100 and from £250 you can get a good quality telescope. Don’t forget; for absolute beginners, binoculars are an option too. They are perfect for looking at the mon and even the other planets in the solar system – provided you are in an area with little light pollution. However you come across your telescope, it is important that you take good care of it. The parts of a telescope are very fragile and you will need to take great care when using it. If you are able to pick out one, consider making sure that your telescope is easy to use, lightweight, and has a good zoom or aperture. You may want to ask your parents to help when deciding which telescope to buy. Astronomy Week published a handy guide to choosing your first telescope and their article is well worth a read. There are lots of things to think about when preparing for your first stargazing trip, but there is a number one rule: check the weather! There is nothing worse than going out to a field to stargaze and then realising that it’s started to rain, or that the clouds have completely blocked the view of the stars. To avoid this, try to make sure you check the weather forecast beforehand so you aren’t disappointed. Another thing to consider is what is known as light pollution. If you live in a big city, it is likely that there will be lots of lights from cars and buildings at any time of night, and this causes light pollution. Light pollution makes it much harder to see stars and planets because it isn’t dark enough to see them. 1) The moon! This may be obvious, but if you can pick a night when the moon is full you’ll be surprised at how much detail you can see. With a good enough pair of binoculars or telescope, you should easily be able to make out the craters on the moon, and maybe even what is known as ‘the man in the moon’ – a collection of craters that looks a bit like a face! 2) Planets. Quite a few of the planets are close enough that with a bit of luck you should be able to make out quite a bit of detail. One of the best ones to look for is Jupiter – because of the moons that orbit it and its bright red colour, it makes for a great challenge to try to spot it amongst all the other stars. 3) Orion’s Belt. Depending on whether you are in the northern hemisphere or southern hemisphere you might be able to spot these famous stars. They are quite close together and in a straight line, much brighter than the stars around them. Look closely and you might be able to pick out something that looks like this. Hopefully this guide has been useful as you start on your adventure of becoming an amateur astronomer! If you’ve enjoyed your journey so far, you might be wondering how to continue. Unfortunately a lot of what you’re able to see at night depends on the quality of your telescope or binoculars, however there are a few different things you can do to try to improve the image that you see when looking at stars and planets. The first thing to do is to look into different filters for your telescope. These are simple pieces of film which you can put over the lens of your telescope to help you see more detail in the planets you are looking at. Although the effect will vary greatly depending on which planets you’re looking for and the colour of the filter you use, they can be a good first step for trying to get a more interesting look at our neighbouring planets. Other simple tips for how to get a better image is simply about good preparation. As well as making sure you have picked a cloudless night to go stargazing on, also consider picking a night when the moon or planets you are trying to see are closer to the Earth. Additionally, one of the easiest things you can do by yourself is to try to improve your dark vision. Although you may have heard stories that eating carrots will help you see in the dark, we wouldn’t advise taking carrots with you when stargazing! Luckily our eyes can adjust to the light levels naturally, and in about 30 minutes of being in the dark you should be able to make out much more than when you first stepped outside. Unfortunately, the part of the eye that deals with seeing in the dark (the rods) aren’t very good at picking up colour, so you’ll only be able to see silhouettes of things nearby. When you have managed to adjust your eyes, try your best to make sure you don’t lose your night vision. Unfortunately, even just a few seconds of bright light can ‘reset’ your eyes, meaning it would take another half hour to get back to the vision you had. Try to avoid looking at any bright lights while stargazing to make sure you have the best chance of visualising the stars and planets you want to see! Ask friends and relatives if they have any second-hand equipment to sell. Make sure you have suitable clothes, especially if you’re travelling away from home. Explore star maps, either via a traditional book, a website or an app. Check the weather before you set out. Explore the light pollution map to find the best place to view the sky. Check Facebook to see if there are any local astronomy groups you can join. 1) Skyview is a popular app that uses augmented reality to help you locate stars and planets anytime, day or night. Available via Google Android or Apple App Store. 2) Star Chart os perhaps the most popular astro-app in use today. The object tracking ability makes this app stand out above the rest. Available via Google’s App Store and Apple Store. 3) The NASA Visualisation Explorer is extremely popular, you can keep up to date with the world’s most well-funded space agency. Available via Google’s App Store and the Apple Store. The Gifted Geek’s guide to telescopes for beginners. Planets for Kids – A great place to start. In the Sky – Star mapping for free. 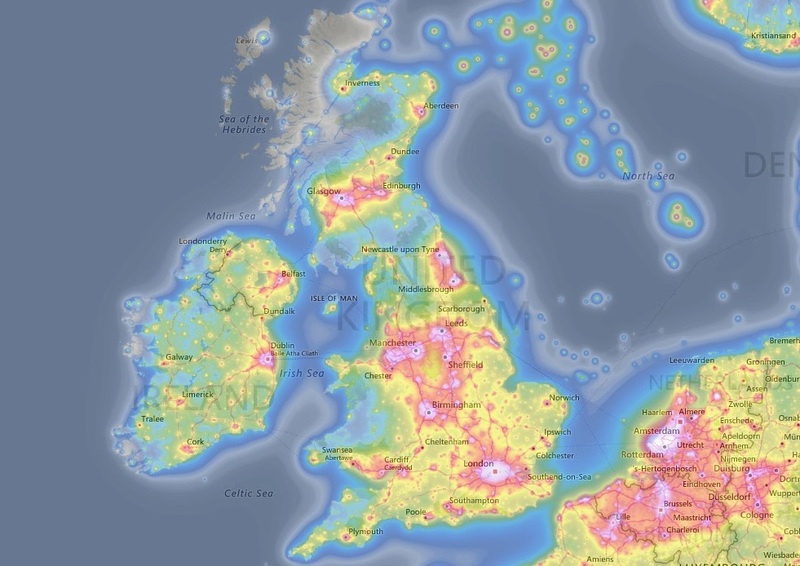 Light Pollution Map – Invaluable and crucial. Space.com – a huge site with a wealth of information. This Q&A site answers the most common questions and there’s also a submit your astronomy question section too. Track the location of the space station via this website. Astronomy for beginners is well worth exploring, the guides to equipment are particularly helpful.